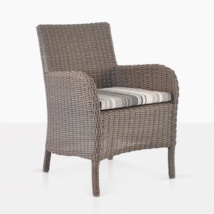 Create a charming and classic outdoor dining space with our Hampton Wicker Dining Arm Chair in Pebble. 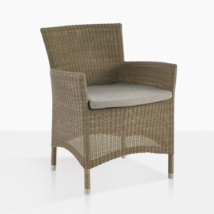 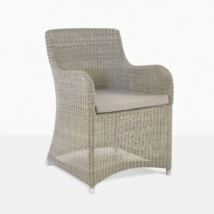 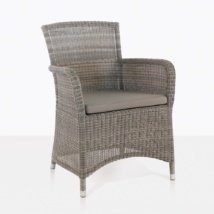 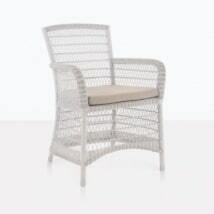 This wicker dining chair is made with outdoor wicker and topped with a Sunbrella seat cushion. The light brown color of the wicker will go with many different dining tables to create an inviting yet sophisticated look. 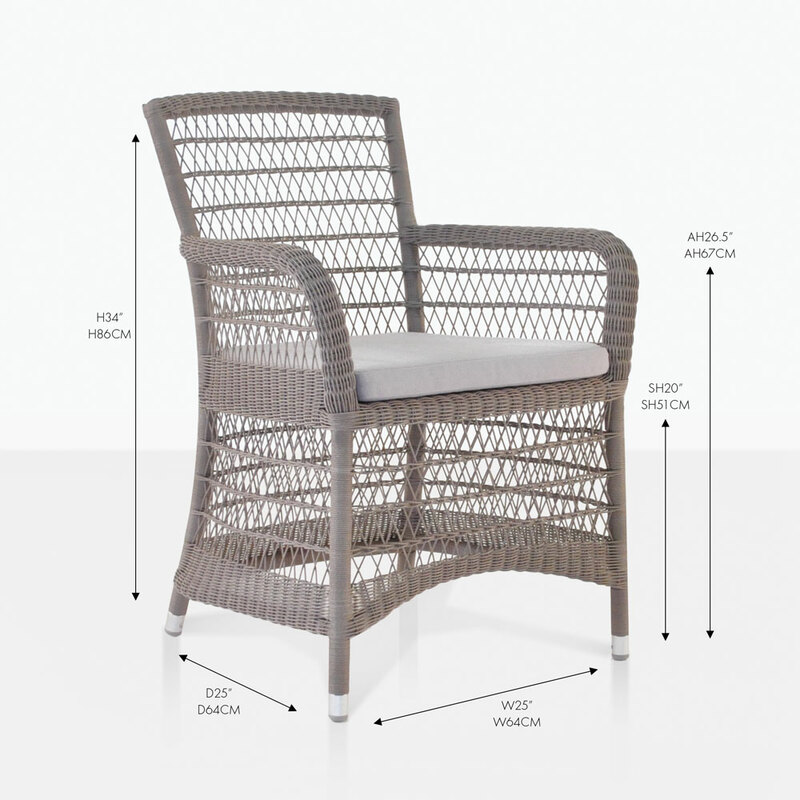 These chairs are light, easy to move around and simple to clean. The frame is made with powder-coated aluminum which ensures durability and strength. W25" x D25" x H34"